If the menu offers a colorful cocktail with five or more ingredients, you're in the right place. While you might prefer a beer when you're out with friends, women often like to congregate over complicated, toothache-inducing cocktails with 4 word names like "The Sparkling Orange Blossom." 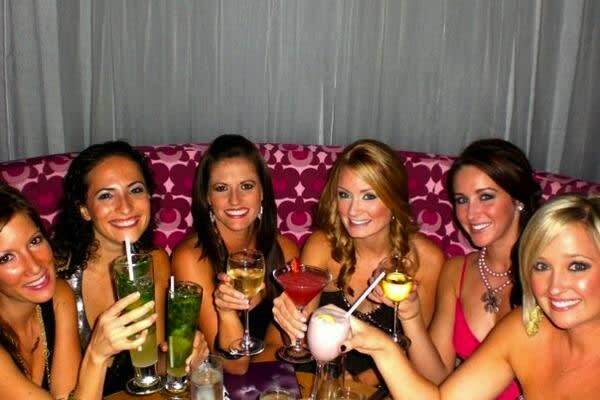 If there is a mixologist on premises, or you can find the words "champagne floater" on the menu, a pack of pretty girls will be there too. How to approach her: With a real martini in hand, admit to her that her drink actually looks pretty damn good..."but don't tell anybody I said that."